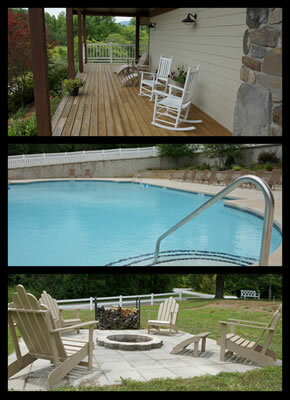 Cat Creek Lodge is a great venue for small weddings, family reunions, corporate functions, and special events. We can schedule a relaxing massage for you, furnish you maps to nearby ruby mines, waterfalls, or hiking trails, or make dinner reservations and arrange tickets to a show at the Smoky Mountain Center for the Performing Arts. We want to make you feel welcome at Cat Creek Lodge!